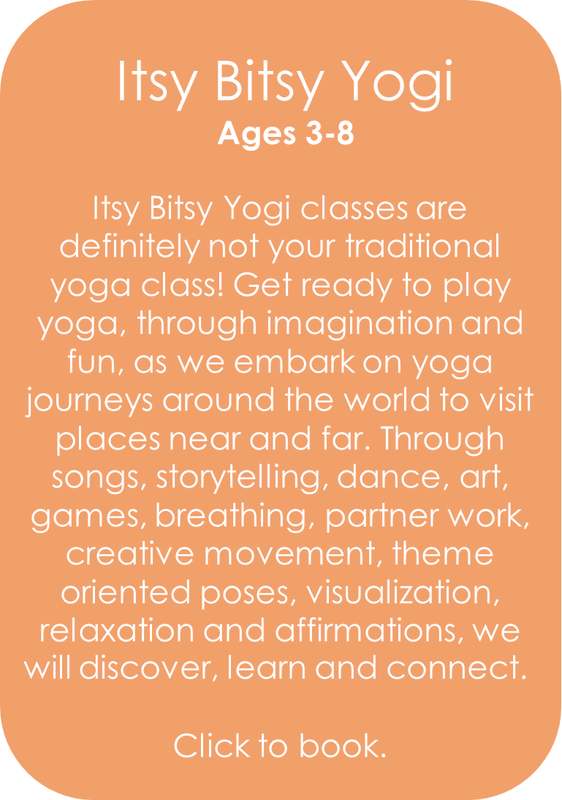 Glow Yoga in school Rainbow style yoga program is a well rounded, convenient, and fun mobile yoga enrichment program for children of all ages. We bring the studio to you, providing all of the necessary equipment to turn any space into your personal yoga studio. Our classes are child centered, age appropriate, and customizable to enhance learning for nearly any theme, topic or unit. We understand the developmental stages of children and cater to the particular emotional, physical, and learning needs that are appropriate to each age level. As such, each of our three programs are designed with the developmental level of the child in mind, and accordingly there are subsets within each individual program to cater to the needs of each grade level. Ready to book? Choose the program that is right for you! Don't forget! Our class plans are in coherence with the core curriculum of Alberta Learning, and all programs incorporate appropriate thematic lesson planning to emphasize a wide range of sensory experiences. Classes are dynamic, engaging explorations of yoga in which students are given the opportunity to imagine and experiment. Well, did you see something you like? See something you don't like? All of our classes and programs are 100% customizable! Please complete our Program Request Form to identify your specific needs, and help us serve you in exactly the way you need it! Investing in the health and well-being of your students is priceless, however we offer many affordable options to meet your needs on any budget. Our Single Classes are designed as a little taste of yoga; ideal for individuals with a smaller budget and a smaller group to serve. 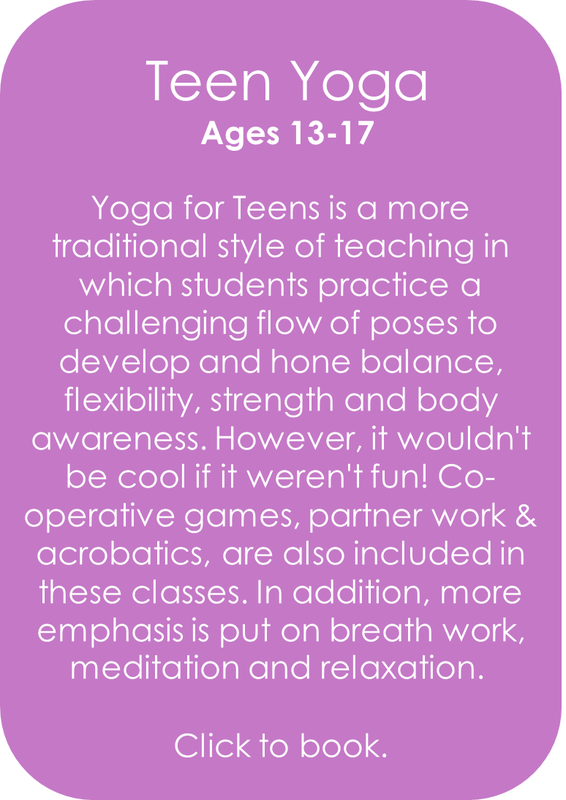 Our yoga Enrichment Packages have been created to offer a discount to those individuals serving larger groups or those looking for a more consistent yoga practice with their students. Enrichment packages include 8 classes which can be used for the same group of children or split up between classes or grades within your school, please use your 8 classes within one year from the date of booking. Enrichment Days are the mother of all packages, and have been designed especially for elementary and junior high schools. 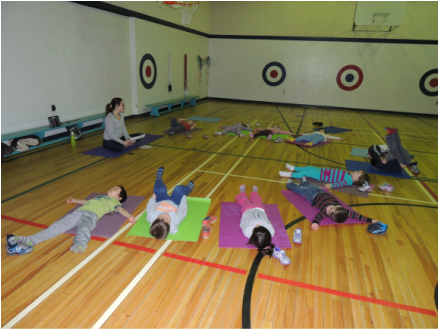 This is the most efficient and cost effective way to allow the whole school the opportunity to try yoga. We set up your space as the in-house studio, and then rotate through as many different classes and grades as you would like - although we do suggest a minimum of 30 minutes per class. Half days provide 3 consecutive hours of teaching, while full days offer 6 consecutive hours of teaching which also includes a lunch hour or after school session especially for the teaching staff. We are confident that you will find a package to suit your needs - and if you don't, let us know and we'll create one! Prices DO NOT include GST, an additional 5% will be added to each invoice.